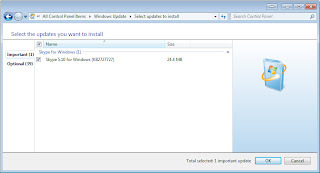 Another SQL Blog - Jason Yousef: Skype as a windows update! Today I got the normal windows update notification in my tool bar, and was surprised that it's showing Skype as an Important Update! 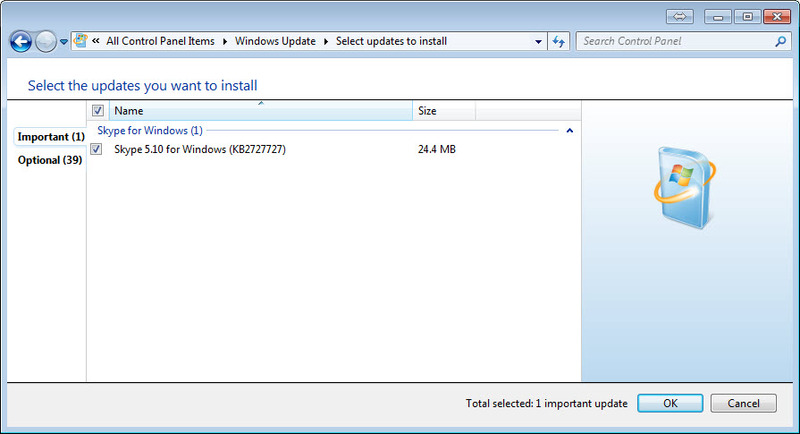 I searched for the KB number and found out that's it's now part of windows updates!